One of the five goals to be attained by any city aspiring to Fairtrade status is the establishment of a steering group that monitors and supports the development and commitment to Fairtrade required to maintain the award. 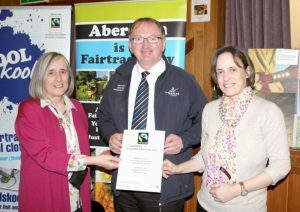 Aberdeen’s steering group reflects the increasing number of city businesses, organisations, educational establishments and faith groups in the city working to promote and use Fairtrade. Our Flagship employer is currently NorthLink Ferries and they are working towards using as many Fairtrade and ethically sourced products as possible. 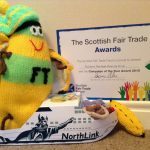 The adventures of Efftie and the co-operative venture of Aberdeen Fairtrade, NorthLink Ferries and Orkney Fair Trade Group recently won for all three organisations the accolade of Campaign of the Year 2015. 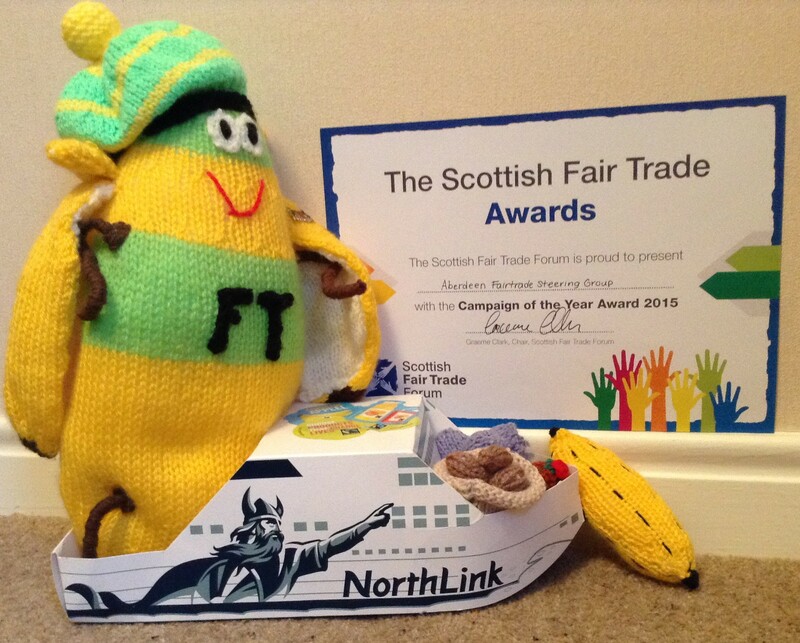 Here is Efftie considering the certificate we received from the Scottish Fair Trade Forum.